When it comes to medical marijuana & anxiety disorders the chemical compounds in medical marijuana are well known for stabilizing mood, and especially for reducing anxiety. 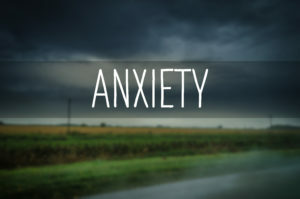 The same is true when the anxiety is severe enough to become a diagnosable disorder, offering the hope of a restored day-to-day life and social interactions to patients living with anxiety disorders. Regardless of the presentation of the anxiety, whether it is Generalized Anxiety Disorder, Panic Disorder, Social Anxiety Disorder, Obsessive Compulsive Disorder, and others, the cause in the brain is the same. The fight-or-flight response is triggered in the amygdala, which is a part of the brain responsible for connecting what we see to what we fear, in the wrong situations. Neurotransmitters that play a role in this are regulated by cannabinoids produced in the body and found in medical marijuana. A 2008 study used MRI to directly see how THC (which leads to feeling “high” with recreational marijuana) reduces the fear response in patients exposed to frightening images, and a more recent study published in Psychopharmacology showed that CBD (also found in marijuana) reverses the physical response to fear in forty-eight test subjects. 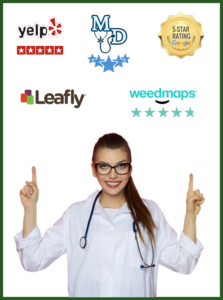 A trained physician can help a patient find the correct mix of CBD and THC that will significantly reduce one’s anxiety with little to no side effects.